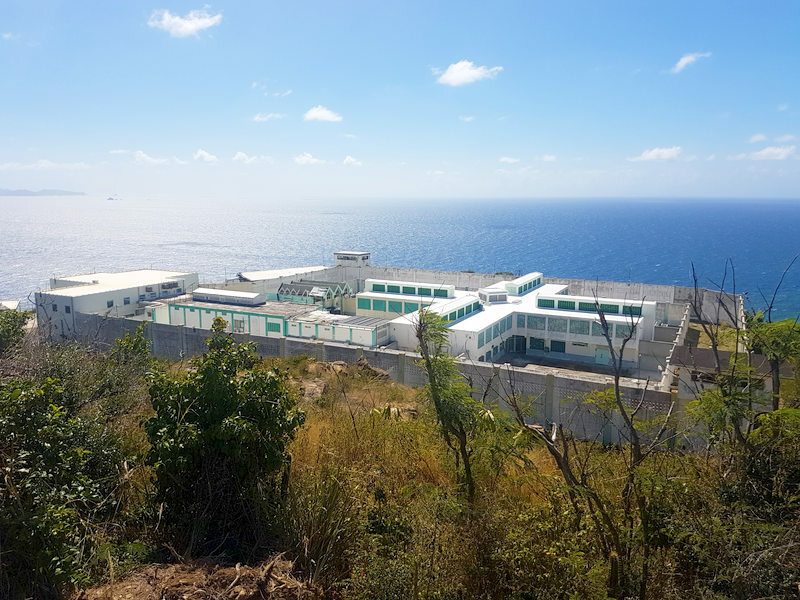 THE HAGUE–The governments of St. Maarten and the Netherlands should make a profound effort, through dialogue, to arrive at a joint structural solution for the Pointe Blanche prison, according to the St. Maarten Progress Committee. In a letter dated February 22, 2019, the committee urged St. Maarten Prime Minister Leona Romeo-Marlin and Dutch State Secretary Raymond Knops to have talks in the setting of the Ministerial Consultation and to arrive at an agreement on how to tackle the urgent issues at the prison. The Daily Herald only received the letter on Wednesday, but was assured that the committee’s call is still current, especially in light of the visit of Dutch Minister of Legal Protection Sander Dekker and State Secretary Knops to St. Maarten this week. The committee favours a joint solution in the form of a mutual agreement above a unilateral intervention by the Kingdom government. Intervention by The Hague to take over St. Maarten’s responsibilities where it concerns detention facilities is the most drastic option and should only be considered as a last resort. According to the committee, the talks in the Ministerial Consultation should primarily determine that the housing of prisoners first and foremost is an autonomous task of the Country St. Maarten. It should also be concluded that St. Maarten does not have the “capacity nor the expertise to achieve the implementation of a new detention regime,” at least not within a reasonable period, stated the committee, which proposed setting a realistic term for this implementation. If necessary, an agreement could be made on the joint drafting of a plan of approach. An agreement on how and who will execute what should also be made. The least far-reaching step is to get advisors. One step further is to take over the prison management, with a second prison director from the Netherlands with additional prison guards from the Netherlands. With its advice, the committee said it aims to put a mutual discussion on the agenda in the interest of St. Maarten and the Kingdom, in the interest of the detainees, the people who have to guard them and to secure the safety of the island’s residents. In the letter, which was accompanied by the latest progress report and a letter to St. Maarten Justice Minister Cornelius de Weever, the committee pointed out that the capacity of the Pointe Blanche prison stood at 70 detainees and that it would take at least six to 12 months before the original capacity of 150 was reached. This meant that the detainees transferred to Curaçao and the Netherlands after Hurricane Irma could not return, persons had to be set free before having served their complete sentences and criminals could not be locked up. Youth criminals are being sent home, no matter the severity of the crime, until at least May 2019. In its 32nd progress report, which covers the last quarter of 2018, the committee showed appreciation for the steps that Minister de Weever has been taking to improve the situation at the prison and that a new prison director has been appointed, as well as a new secretary-general for the Ministry of Justice. The committee lauded the repairs to the prison roof and lights, the new reception area outside the facility and the new control system for persons entering the facility. The committee called it a “good step” that the minister had acquired the services of the Volunteer Corps St. Maarten VKS to assist with security. As the next step, the prison’s own security personnel should be put in place. The committee stated that there was “still a long way to go” and that the “current speeds offered no prospect for quick recovery.” Despite the hard work being carried out at the prison, the committee stated it was not convinced that the problems at the prison were being tackled in a “systematic manner” and that the appointment of a project team was not the “adequate approach” for the execution of a broad programme considering the size and the urgency of what needed to take place. A new detention regime requires a programmatic approach. The committee insisted on appointing a programme manager to execute the policy plan drafted by the Netherlands Judicial Institutions Department DJI. The committee called it positive that funding for programme management was available from the Netherlands. “Part of the trajectory, if the process to build a new prison were to start today, is that the current location needs to offer acceptable housing for 150 detainees for four years.” The construction of a new prison has been approved by the St. Maarten Council of Ministers, but there is no funding available in the country’s budget for a project of this size. Before seeking outside financing, it is important, in the committee’s opinion, to have an agreement on the requirements with which the new prison has to comply, to have the new detention regime completely implemented, and to implement a new organisation parallel to the construction trajectory. Sufficient funds would have to be reserved on St. Maarten’s budget for this elaborate exercise. The committee advised the minister to present a plan of approach before April 15 to execute the detention plan drafted by DJI. This plan of approach should serve as a point of reference for the introduction of the new prison regime and the housing for the detainees to be realised in the next four to five years. Dit bericht werd geplaatst in _Curacao, _Nederland, _Venezuela, SXM-Daily Herald. Bookmark de permalink .